The cryptocurrency sell-off continued Tuesday after Bloomberg reported the U.S. Department of Justice and the U.S. Commodity Futures Trading Commission are investigating cryptocurrency market price manipulation. The DoJ and the CFTC have been coordinating on a criminal probe of Bitcoin, Tether and crypto exchange Bitfinex and their possible role in driving last year’s cryptocurrency market bubble, according to Bloomberg. Tether’s USDT is one of several so-called “stable coins,” cryptocurrencies that claim they're backed by fiat currencies. Tether claims its currency is backed by the U.S. dollar, but the DoJ is reportedly investigating those claims along with how new Tether coins are created and why they have entered the market primarily via Bitfinex. Sources familiar with the probe said the DoJ is investigating whether or not traders illegally pumped up the price of bitcoin in late 2017 by using USDT to strategically buy and sell bitcoin based on inside information. As of this time, no formal charges have been brought against Tether or Bitfinex, but the price manipulation probe along with confusion over last week’s Bitcoin Cash hard fork has stoked investor fears that the cryptocurrency market is volatile, unpredictable and unsafe. The North American Securities Administration Association launched 70 separate fraud investigations into cryptocurrency investment schemes back in May. Bitcoin prices have plummeted 30 percent in the past week to under $4,500, their lowest level since October of last year. 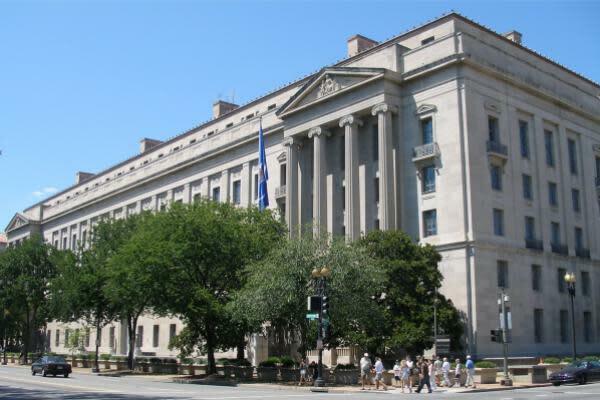 Crypto investors will be watching to see if the DoJ investigation results in criminal charges and how the outcome of the investigation will impact cryptocurrency market sentiment. The Bitcoin Investment Trust (OTC: GBTC) is now down 75.6 percent in 2018. Is Now An Opportune Moment To Examine Altisource Portfolio Solutions S.A. (NASDAQ:ASPS)?